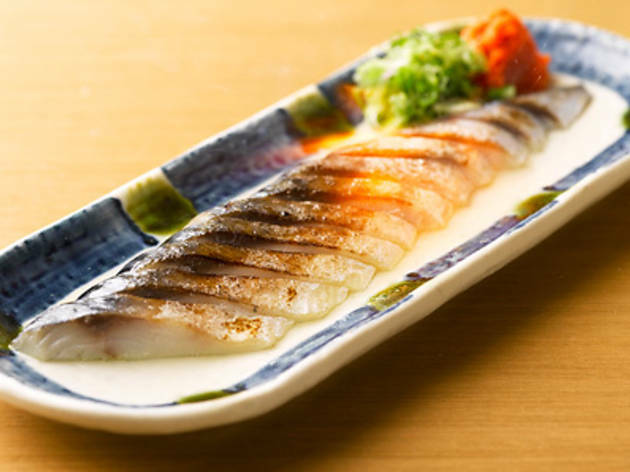 The sidewalk restaurant at Time2 @ Millenia Walk known for its aburi (seared) sushi has opened up a second branch at suburban corporate central NTUC Income Tampines Junction, and it’s a smart joint. Light wood furnishings accented by blue-and-white Japanese cloths stick close to the high-ceilinged walls, except in the bare private rooms – it’s simple and separated by folding walls. 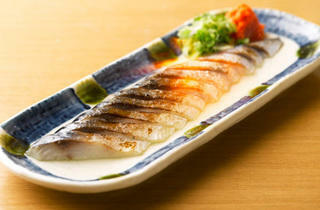 As per the ingredients, the furnishings are imported directly from Japan. The Akita prefecture-originated rice comes in its husks and is milled at the Millenia Walk branch; the ehire (grilled stingray fin, $8), sweet grilled corn with butter ($5) and fire mackerel (marinated in rice wine vinegar for at least two hours, then wrapped in konbu and blowtorched before serving, $16) were sourced without a local middleman. Sashimi, meanwhile, is flown in twice a week from Ishikawa and Kagawa prefectures, and the fluffy, flavourful okonomiyaki ($10) is made from scratch. For this much effort, the price isn’t bad at all.